The Ground-Breaking and Pioneering Work of Hauwa Ojeifo. 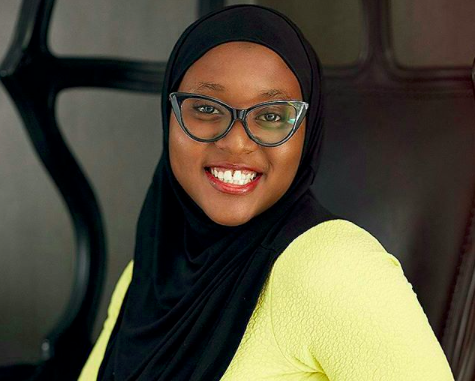 Hauwa Ojeifo, 26, is an empowering and trailblazing woman on a mission. In order to appreciate how important this charity’s work is, here are some stats and information. In 2016, Dauda Eneyamire Suleiman, who works at the Department of Pathology at Ahmadu Bello University Teaching Hospital in Nigeria, wrote an article for ANM (http://www.anmjournal.com/article.asp?issn=0331-3131;year=2016;volume=10;issue=2;spage=47;epage=48;aulast=Suleiman#ref2). In this article, he explained that between 20 – 30% of Nigerians suffer from a mental health condition. Considering the population is around 190 million this is an exceptionally concerning statistic. Sadly, Dauda asserts, ‘the attention given to mental health disorders in Nigeria is at best, fleeting; the level of awareness of the Nigerian public on mental health issues is also understandably poor, and the misconceptions regarding mental health have continued to flourish.’ This conclusion is reinforced by Dr Ukwouri-G. Kalu, in her article for Nigeria Health Watch (https://nigeriahealthwatch.com/mental-health-the-danger-of-nigerias-single-story/#.W_gHI_Z2vic). She states: ‘individuals who show symptoms of psychosis (hearing voices or seeing things that are not there) are often labelled as “crazy”, publicly beaten and deprived of rights essential to dignified living. Individuals suffering from mental illness are generally seen as dangerous, regardless of their type or diagnosis of mental illness. Part of the problem has to do with the country’s lackadaisical approach to mental health policy implementation. The country’s only existing Mental Health Policy document was formulated in 1991. Although a bill for the establishment of a Mental Health Act was introduced in 2003 and re-introduced to the National Assembly in 2013, this is yet to be passed into law. No desk exists in the ministries at any level for mental health and only 3.3% of the federal government’s health budget goes to mental health.’ (Currently, the UK uses 9.5% of the NHS’s budget for mental health). “We have a misinformed narrative. With an MSc in Investment Banking & Islamic Finance and a top industry job, Hauwa is not the kind of person people tend to picture when they think of someone with a mental health problem. However, she was diagnosed with bipolar disorder and post traumatic stress disorder, commonly known as PTSD, in December 2015. Channelling her experiences, she started the charity in July 2016; through her journey she concluded, “we all need somebody to talk to and sometimes that person isn’t in our immediate environment.” Since its grass-root beginnings, She Writes Woman has supported 500+ people, as well as 450 women accessing the support group, Safe Place. The organisation has also prevented over 45 suicides and now helps people across five states in Nigeria. Hauwa’s fantastic work is gaining global recognition, to just list three of her accolades: she is the first person to receive the MTV Europe Music Generation Change Award, she is also the only Nigerian woman to achieve the Queen’s Young Leaders Award, and she is an Ambassador for One Young World. People like Hauwa are changing the world for the better. With this constant discourse and discussion about all of the hate, pain, and suffering in the world, it is amazing to see someone taking even just one of the world’s many problems by the horns and doing some fantastic work. I highly recommend reading Elizabeth Ofosuah Johnson’s article (https://face2faceafrica.com/article/hauwa-ojeifo-the-26-year-old-nigerian-championing-womens-mental-health-in-africa-and-getting-global-recognition) about this profound woman.